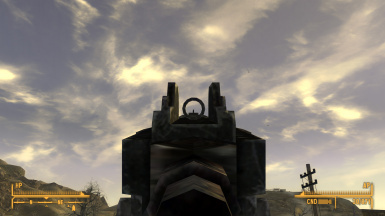 This mod adds a silenced variant of the 10mm SMG to the game that fires in three-round bursts. 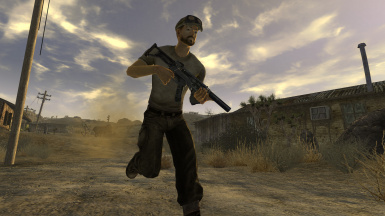 I took the vanilla 10mm SMG and made a few cosmetic changes - adding the stock from the Light Machine Gun and the silencer from the 10mm Pistol, as well as a rear aperture sight. 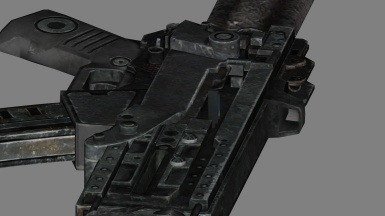 I also converted it to use the Assault Carbine's two-handed animations, adding a functional cycling bolt and charging handle. 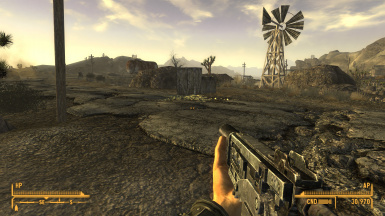 Gameplay-wise, this gun's stats are cloned directly from the 10mm SMG, except that it's slightly heavier but with a lower spread to compensate (the added weight of the stock increases the gun's inertia and lowers the felt recoil impulse, in addition to providing something to brace against the shooter's shoulder). 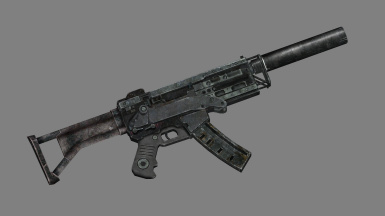 It can accept the extended mags mod, but not the recoil compensator. 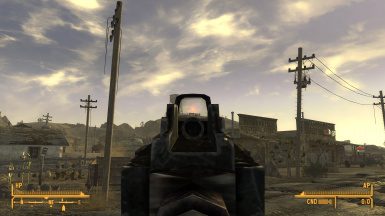 However, as of v1.1, I made a custom-made Red Dot Sight mod that reduces spread. 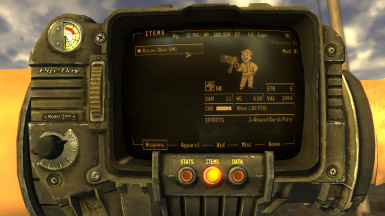 It can be purchased from vendors who sell weapon mods, including the NCR arms merchant at the 188 Trading Post. The weapon has also been added to all the appropriate form lists, so that perks and challenges that affect SMGs will work as expected. 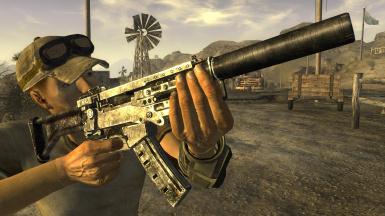 The biggest difference between this gun and the vanilla 10mm SMG is that it has a two-stage trigger. 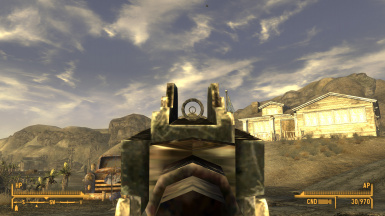 Squeeze the trigger and it will fire a three-round burst. Hold the trigger down and it will fire in full auto.